Twitter has the potential to bring your site a ton of traffic. You are going to need decent content to get started. Of course, making your website Twitter friendly is must-do as well. Providing your visitors with tweetables could help. These are key facts with Twitter links, which will be easier to share for your visitors. 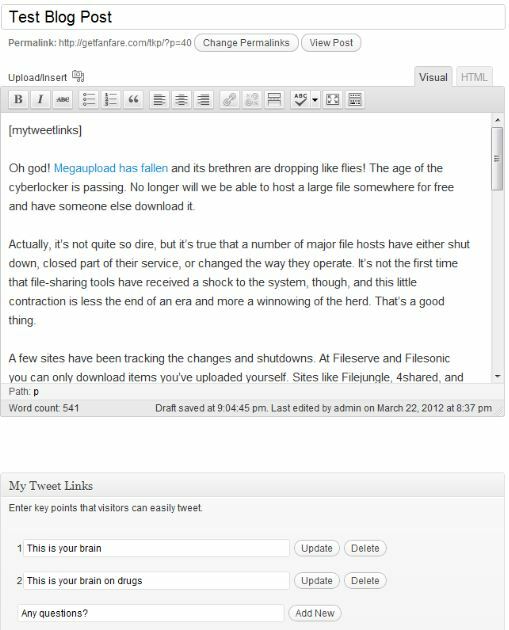 MyTweetLinks is a WordPress plugin that handles tweetables on your site. MyTweetLinks allows you to make key points from your articles into Twitter links. Your visitors get the chance to share your tweetables with one click. Adding and deleting key points from your tweetables is pretty straight forward. People won’t tweet your facts just for the sake of doing it. You will have to pay attention to what you add to MyTweetLinks. MyTweetLinks makes WordPress sites even more Twitter friendly. 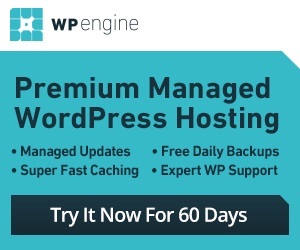 A nice plugin to use to increase your Twitter traffic in the long run.